Explorations into the idea that the cutting edge of Science and the bleeding edge of high technology, that is neuroscience, genomics, evolutionary developmental biology, cosmology and artificial intelligence, is totally convergent with and really the flip side of the same coin, in relation to some of the key ideas of the so called esoteric or hidden religion i.e. Christian Gnosticism, Jewish Kabbalah, Muslim Sufism and Shism, Taoism, Vajrayana Buddhism and the Tantra or Advaita Vedanta of Hinduism. 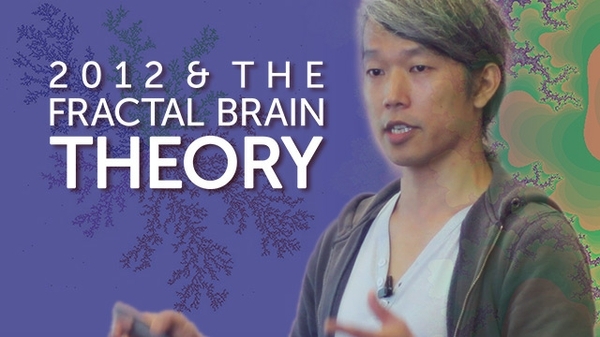 Seen in this light the so called Technological Singularity or Apocalypticism for Nerds is therefore the correct interpretation of Christian Prophecy; the Transhumanist idea of a person as God is really adapted esoteric religion; the idea of the physical Universe as a computer simulation is identical to mystical notions of the illusory nature of reality; and the idea of a Fractal Brain Theory perfectly extrapolating to a fractal universe, that is as a giant brain or mind, is exactly as the ancient idea of the microcosm as a reflection of the macrocosm, or put another way, that we are formed in the likeness of the cosmic and transcendent divine image. 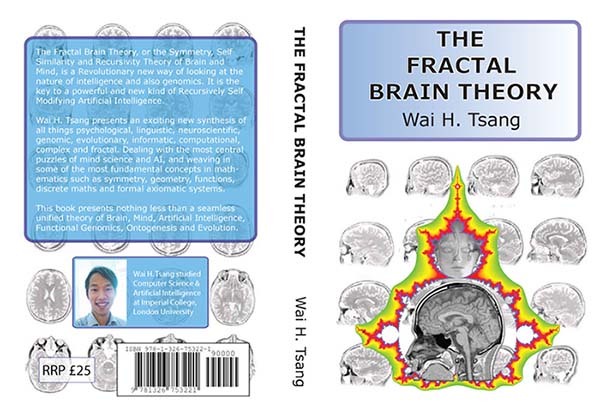 The Fractal Brain Theory book is finished now and available to order! Available worldwide on Amazon, Barnes Noble and Ingram. For a signed print copy Paypal me in Pounds Sterling, on wai.tsang69@gmail.com with your name, full postal address and email. The book is 530 pages royale size so is quite weighty, airmail costs reflect this. UK addresses charged at £25 + £5 P&P = Total £30. For USA addresses Paypal £25 + £14 P&P = Total £39. Write to me on the above email to get pricing for other destinations. 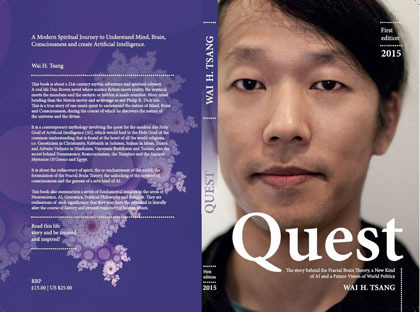 The 2015 Quest book is now in ebook format. It contains within it a complete overview of the entire message. For eBook goto Amazon.com or your local Amazon and purchase kindle version. The print version is available on Amazon, Barnes Noble and Ingram. For a signed print copy Paypal me on wai.tsang69@gmail.com with your name, full postal address and email. UK addresses charged at £10 + £3 P&P. For USA address Paypal £10 + £8 P&P. Write to me on the above email to get pricing for other destinations.